SEATTLE, Wash. – Seattle Mariners Executive Vice President & General Manager of Baseball Operations Jerry Dipoto announced today that the club has outrighted right-handed pitcher Casey Fien to AAA Tacoma. Fien was designated for assignment yesterday (May 2). Fien, 33, has posted a 15.00 ERA (10 ER, 6.0 IP) with 6 strikeouts and 4 walks in 6 relief appearances with the Mariners this season. 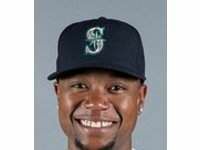 After being selected from AAA Tacoma on April 26, he made one appearance, allowing 3 runs on 2 hits (1 home run) and 1 walk with 1 strikeout in 0.1 innings pitched on April 30 at Cleveland. The 6-foot-2, 212-pound right-hander posted a 2.08 ERA (1 ER, 4.1 IP) with 3 strikeouts in 4 outings with Tacoma after being originally outrighted on April 12. He combined to go 1-1 with a 5.49 ERA (24 ER, 39.1 IP) with 35 strikeouts and 10 walks in 39 relief appearances last season with Minnesota and Los Angeles – NL. In parts of 8 Major League seasons with the Tigers (2009-2010), Twins (2012-2016), Dodgers (2016) and Mariners (2017), Fien has compiled a career record of 17-17 with a 4.29 ERA (135 ER, 283.0 IP) with 247 strikeouts and 59 walks in 299 career relief appearances. The native of Santa Rosa, CA, was selected by Detroit in the 20th round of the 2006 MLB First-Year Player Draft out of Cal Poly, San Luis Obispo.